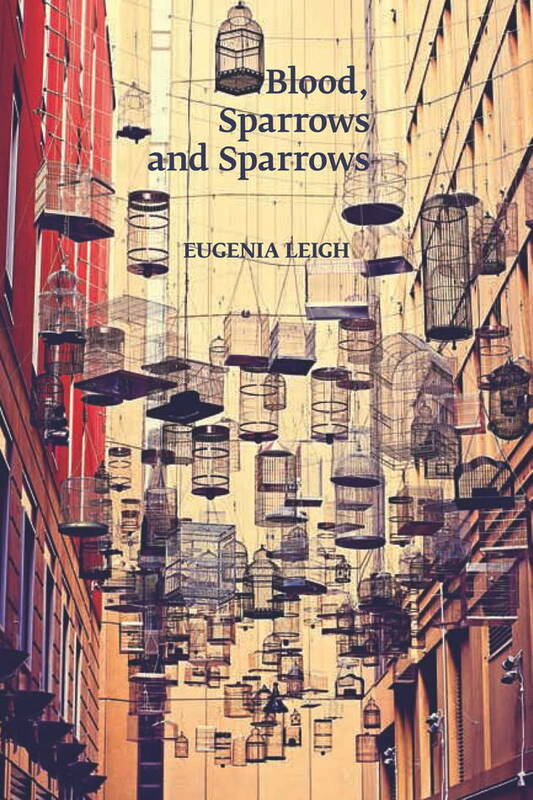 Blood, Sparrows and Sparrows by Eugenia Leigh. Four Way Books, 2014. The bell jar: a scientific instrument used to create a vacuum-sealed space, where objects can be put on display – visible through the glass – yet where they remain contained, tucked away. Within this space, mementos are preserved, placed somewhere for storage, but never entirely forgotten or distant. Things linger in bell jars. In her collection, Blood, Sparrows and Sparrows, Eugenia Leigh discovers these lingering mementos from her speaker’s metaphorical bell jar, and releases all of the painful and reluctant memories contained therein onto the pages of her poetry. As she states in “The Jar Party,” “I collect fractured humans and store them/ in a bell jar for moments// I want normal.” This exploration of fractured humans, and especially of the fractured self, remains the pivotal theme of Blood, Sparrows and Sparrows. This collection is, itself, a bell jar of sorts that enables the reader to view mementos of a fractured human from behind the glass. In addition to these sentiments, Leigh also focuses the speaker’s ability to be self-aware about the purposes of her own poetry. Within the poem “Upon Living with a Man Newly Released” the speaker admits, “I sew together/ syllables about trauma – a poem about what war gifts to its witness/ (silence).” These syllables of trauma resonate through the collection. how did he misplace my mother in that wrong pile? insisting, insisting God is good. This passage reflects the speaker’s struggle to rectify the abuses that she and, more importantly, her mother experienced at the hands of her father, while it appeared that the hands of the Holy Father remained uninvolved. In many cases, the speaker seems to assign as much blame to God in these abuses as her abuser. However, what makes this collection so special is that, even through the brutality, the blunt remarks and ideations that sting like a bandages removed without warning, Leigh also highlights an underlying and subtle thread throughout its trajectory: a resilient hope that, while difficult to perceive at times, remains ever-present. Continuing the religious imagery, Leigh includes the biblical implications of the sparrow, namely the inherent value and significance of one individual, one creature, in the eyes of God. Within her collection, this metaphor becomes increasingly secularized as Leigh pulls the meaning of this symbol directly from the lyrics of a Sparklehorse song, rather than the original biblical text (the Book of Matthew), the notion of self-worth, value, and significance lingers even in the darkness. Most notable, in the titular poem “Blood, Sparrows and Sparrows,” the speaker’s relationship with the divine is transformed through the thoughts that emerge, but become visible in the format of the poem itself. yawns near a beer can. This concludes the poem. All previous stanzas appear as the first of these two, as the speaker questions the presence and support of God. But with the descent of the religiously charged sparrow, the speaker/character is able to heal her wounds and rectify her relationship with the spiritual. Eugenia Leigh’s Blood, Sparrows and Sparrows is a collection of struggle, existential crises, spiritual unrest, and violence that is expressed with bold sentimentality and heart-wrenching beauty. The speaker places all her scars on display for the readers to see through the lens of her bell jar, and in so doing, may manage to overcome these personal demons, breaking the seal of the vacuous jar and liberating her screaming spirit. Steve Schauz is a senior English major and the Assistant Editor for Portage Magazine. He hasn’t really published anything else, but he occasionally scribbles philosophical musings or poetic gibberish in the corners of notebooks.